It’s back-to-school time for peo­ple — but what about for com­pa­nies? We nor­mal­ly asso­ciate the end of sum­mer with the begin­ning of a school year, yet there is no such con­cept for cor­po­ra­tions. That’s wrong. While many of the skills and com­pe­ten­cies need­ed for suc­cess­ful­ly deal­ing with future-tense chal­lenges and oppor­tu­ni­ties already exist with­in your organ­i­sa­tion, what is required from lead­ers is to reori­ent those com­pe­ten­cies explic­it­ly toward unlock­ing future-tense oppor­tu­ni­ties. This is not about start­ing over; rather, it’s about reset­ting pri­or­i­ties. You will max­imise the poten­tial for 2014 only if you define, now, the strate­gic neces­si­ties that will cre­ate the most val­ue for your cur­rent and poten­tial cus­tomers over the next 12 months. More than like­ly, this means that your firm will need to change how it cre­ates val­ue. In oth­er words, your strat­e­gy will be influ­enced more and more by your organisations’s capac­i­ty to “learn its way for­ward” in a world in which mak­ing sense of things and renew­ing your organisation’s iden­ti­ty accord­ing­ly is para­mount. What’s inter­est­ing is that rel­a­tive­ly few com­pa­nies tru­ly build in a learn­ing com­po­nent to their cor­po­rate cul­ture. Oh, sure, many com­pa­nies rou­tine­ly say good words on this sub­ject: about how employ­ees are their most impor­tant asset, how peo­ple make the com­pa­ny unique, and how every­one needs to learn in order to grow. (1) Are man­agers eval­u­at­ed by how much their employ­ees learn each year? (2) Can each and every employ­ee quick­ly iden­ti­fy, from a per­son­al eval­u­a­tion, their three great­est strengths and their three great­est weak­ness­es? (3) Does every employ­ee have a sched­uled pro­gramme of learn­ing designed to bol­ster their strengths and repair their weak­ness­es? Per­haps it’s time for com­pa­nies to ded­i­cate Sep­tem­ber as the best month to make learn­ing inside the com­pa­ny as the prime activ­i­ty of the month, sec­ond only to cus­tomer ser­vice. Here are two resources for you to con­sid­er in this regard. First, I point you to a unique post by Lily Her­man (@lkherman) on the­muse [link] web­site. She uses an extend­ed info­graph­ic to explore the cor­po­rate cul­tures of three firms well known for (a) their high-per­for­mance stan­dards, and (b) their treat­ment of peo­ple. The com­pa­nies are well-known, as you might expect: Pixar, Patag­o­nia, and Google. You may recall my recent post on one of the founders of Pixar (@DisneyPixar), Ed Cat­mull [link]. 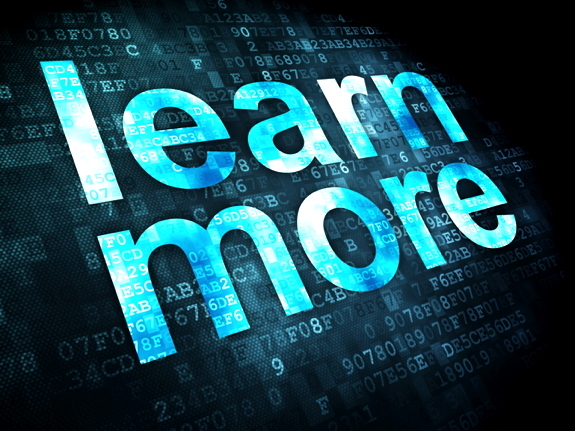 That company’s com­mit­ment to learn­ing is famed. In terms of Patag­o­nia (@patagonia), Her­man points out the com­pa­ny stress­es work/life bal­ance but also stress­es that they keep up-to-date about one of the pri­ma­ry tenets of Patagonia’s mis­sion: to help the envi­ron­ment. To that end, Patag­o­nia will send teams away from their nor­mal work in order to help on envi­ron­men­tal dis­as­ters, such as the Gulf of Mex­i­co oil spill in 2010. Beyond that, Patag­o­nia pro­vides employ­ees “envi­ron­men­tal intern­ships” to work for a time at not-for-prof­it organ­i­sa­tions in order to help these firms and to help Patag­o­nia employ­ees learn. Her­man also pro­files Google (@google) in quick form. There, the empha­sis on teams is dri­ven toward the shar­ing of ideas: as I see it, this is about employ­ees teach­ing oth­er employ­ees! The com­pa­ny also allows 20 per cent of an employee’s time to go toward per­son­al inter­ests. While this could cer­tain­ly come down, on some weeks, to tak­ing chil­dren to doc­tors or oth­er per­son­al needs. But I sus­pect what Google is try­ing to do is to encour­age peo­ple to learn about sub­jects and areas that may not be direct­ly job-relat­ed but which hold vast poten­tial for a tie-in to some Google project in the future. Last­ly, the com­pa­ny places such a high pre­mi­um on the ideas of its peo­ple that it actu­al­ly has a “google-o-meter” to mea­sure employ­ee sug­ges­tions. Sec­ond, check out the major meet­ing to be held 11 – 14 Novem­ber in the Orlan­do area. It’s called “Cor­po­rate Learn­ing Week” [link], and it is an event that had tak­en place over the last 15 years. Host­ed by the Cor­po­rate Learn­ing Net­work (@CorpLearnNet) [link], it has numer­ous spon­sors, includ­ing The Druck­er School. While the event seems designed main­ly for Chief Learn­ing Offi­cers, your com­pa­ny may not have some­one who car­ries such a title. Quite pos­si­bly, this may be some­thing you could pur­sue by mak­ing this event your own learn­ing expe­di­tion, by attend­ing and then shar­ing wide­ly inside your firm what oth­ers are doing when it comes to cor­po­rate learn­ing.